Proper car maintenance is vital for keeping your vehicle on the road. Contrary to popular belief, a vehicle requires much more attention than a simple tune-up or oil change every six months. To keep your vehicle healthy, you will need to keep a close eye on it, day in and day out. However, not everybody is a mechanic and doing that can be difficult. In today’s blog post, Crossroads Ford Lincoln wants to help you with these five easy car maintenance tips. This might seem like an obvious car maintenance tip, but running out of gas is terrible for your engine. Not only that, but driving near empty, or running on fumes, can put stress on your fuel pump and is far less efficient than running on a full tank. You actually get more bang for your buck by not waiting until the last second to fill up your gas tank. Checking your tires is important for more reasons than one. Yes, having the right tire pressure levels is important, but tire pressure also impacts fuel economy and failing to rotate your tires can take months off of the life of your tires. It is always important to check the tire pressure and tread levels on your tires regularly, especially during rainy seasons or during the winter when it is snowing. Checking these things regularly will also help you keep your vehicle out of the shop. If there is one thing that your vehicle absolutely cannot live without, it is oil. 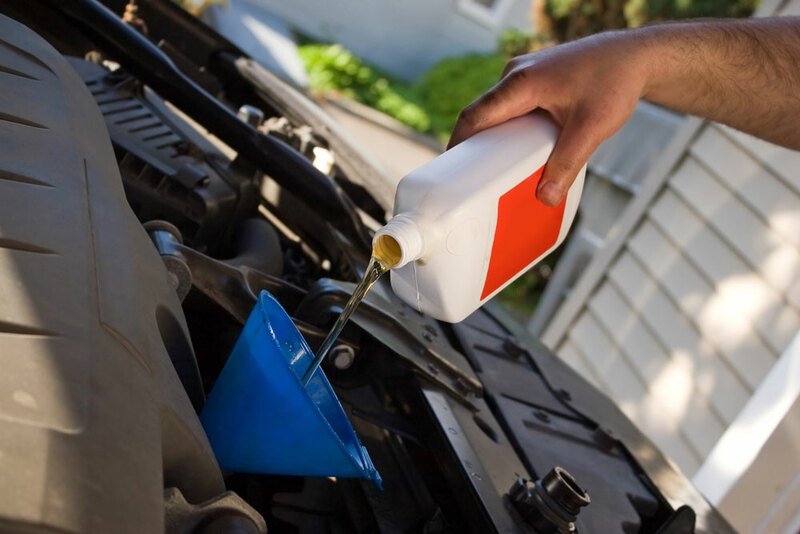 If you want to keep your vehicle running smoothly and out of the shop, you will need to regularly check your oil and fluids. A common mistake made by car owners is believing that you only need oil during an oil change. A good car maintenance practice is checking oil regularly, even if your last oil change sticker says you still have a few months before your next change is due. We have all had a warning light pop up on our dashboard that we haven’t ever seen before. It’s important for you to know the warning lights in your vehicle so that you can know what the best car maintenance step is. Learning the warning lights is as easy as opening up the manual for the vehicle, which you should always keep in your glovebox. Lastly, there are many do-it-yourself car maintenance practices that you should be doing, but none of them can replace the value of regular tune-ups. Having your tires rotated regularly and having your oil changed on time is the cheapest way to keep your car healthy and out of the shop for major repairs. If you need car maintenance help, contact Crossroads Ford Lincoln. For more information on our services, give us a call at (502) 695-1990 or contact us online today.